I remember meeting up with Sandeep once at Sanjay Van. 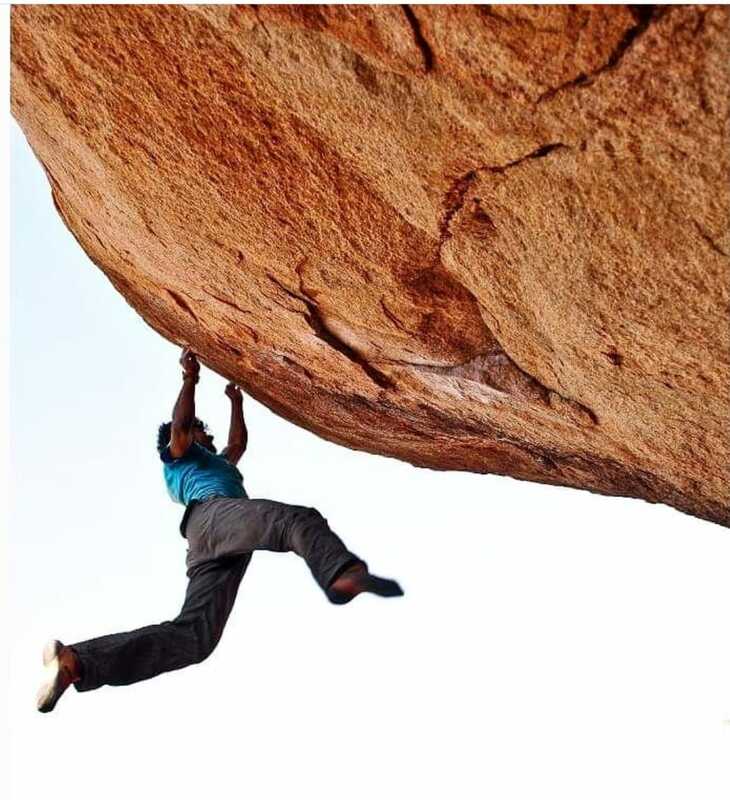 Back then, I didn’t know much about him, except that he was amongst the strongest boulderer from India. He is also one of the most unpresuming climbers I have come across thus far. You will know what I mean if and when the two of you meet at BoulderBox, that is if you haven’t already yet. He has a likable disposition and is a great mentor to listen to. Maity might be everything you’d look for in a climber but there is also a side to him that remains shut to the outside world. This also includes me. But we aren’t here to dive into that. As far as I know, the word flying isn’t really used as a part of climbing jargon. Perhaps it should be! To be honest, I am not really sure. The act of flying, however, involves moving in the air with wings that we have come to invent only physically and out of matter. What if we actually had wings? Wings that could have lifted us to the top of any summit. Would that have made our quest against the vertical seem less significant? I am sure it would have. The lure around climbing walls couldn’t have steered our imagination if all we had to do to get to the summit was flutter our wings. Aside from our biological limitations, as humans, our preconditioning has been such that we are reasonably adaptable. It is our proclivity for hard work and embracing discomfort that enables us to have wings metaphorically. And we do so with what we have, a body to train and a mind to conquer. That said, the word flying came to life for me when I saw Sandeep in the act. 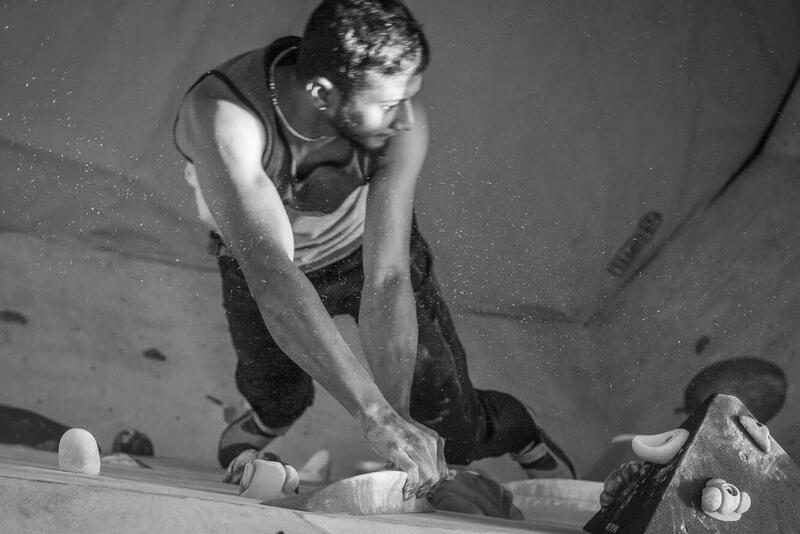 He stuck the dyno: a dynamic move wherein a climber uses momentum to grab the next hold. Within a fraction of a second, I saw him from being suspended up in the air to reaching the last committed hold at a boulder in Sanjay Van. A flight like that, I thought to myself, underlined the work of both, the body and the mind in conjunction at its finest. Having witnessed that, in short, was epiphanic. It was certainly a moment when the truth had intervened and revealed itself through physics; the tug of war between the forces of gravity and grace. Since then, I have had multiple occasions wherein I have seen Sandeep fly. The other day when I was working on a problem set by Yadu at BoulderBox, Maity explained to me the importance of mind and body and how inseparable the two are. His words were, “while you learn to fly, learn also to commit.” As you may have noticed, aimless flying often results in a crash.